Cataract Bowl is family run and built since 1955. We were started by four brothers; Nap, Joe, Nick and Dominic Biamonte. 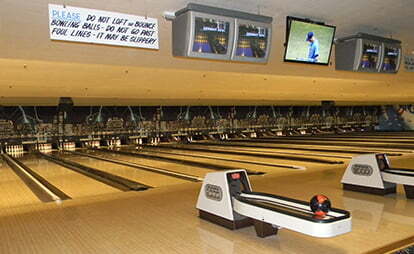 When we opened in 1955, Cataract Bowl started out with 20 5 pin lanes, which moved to 30 10 pin lanes by 1988. Originally all scoring was done by hand, until 1985 when computer generated scoring was installed. All of our lanes were wood until 1989 when the wooden lanes were replaced by synthetic lanes.